Simplify Your Charitable Giving with a Donor Advised Fund — More Than Your Money Inc. If you donate to several charities every year or you want to become more strategic in your charitable giving, a DAF can simplify the gifting process. A DAF can also simplify the process of gifting appreciated, non-cash assets. Opening a DAF is similar to the process of opening any other financial account. Once the account is open you can easily make contributions to your account and, when you are ready, make distributions to a qualified charitable beneficiary. There is no delay in establishing the fund and there are no start-up costs. You select the name for your DAF and if you prefer, donations can be made anonymously. Your contributions are irrevocable and immediately tax deductible. Funds held within the DAF are invested, based on your gifting timeframe, and grow tax free. In recent years DAFs have grown in popularity as an alternative to private foundations. Private foundations can be expensive and time consuming to establish and operate. They are subject to extensive federal and state regulations resulting in substantial legal and accounting fees. The administrative and management fees for private foundations are also much higher than DAFs, generally ranging between 2.5% to 4% per year. Foundations must annually grant at least 5% of their net asset value, regardless of how much the asset earned in the previous year. A DAF does not have annual distribution requirements. Additionally, foundations have to pay an annual excise tax of 1% to 2% of net investment income. A DAF can help you manage your taxes by providing an immediate tax deduction on contributions into the DAF, even if you spread the gift to the ultimate charity out over several years. A DAF is especially beneficial in gifting appreciated non-cash assets. With a DAF you can gift the full value of stock or stock mutual funds to a charity without incurring taxes on the gains. 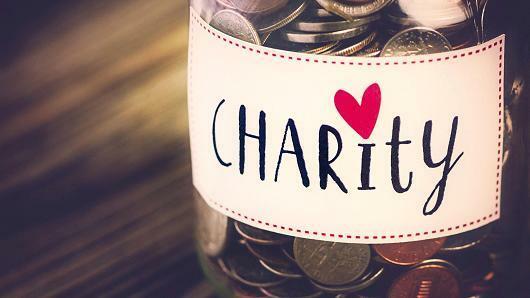 Many charitable organizations find it difficult to accept non-cash donations where a DAF can coordinate the administrative process and hold the funds until you are ready to gift them to the charitable beneficiary. The disadvantage to using a DAF is the annual administrative fee which usually runs around .60% to .85%. If donated directly, this money would go to your designated charity. If you are considering a DAF compare administrative fees, contribution minimums, investment options and their grant issuing process. The four largest providers of DAFs are Fidelity Charitable, Schwab Charitable Foundation, Vanguard Charitable Endowment and the National Christian Foundation. You can also open a DAF with the Pikes Peak Community Foundation or other community or public foundations.